A New Point of Light in a Sea of Darkness. Egypt is the Northeastern nation in Africa. Sudan, the largest African country, is just south of Egypt. Who can remember how many years the Christians of southern Sudan have survived the oppression and butchery from the Islamist government at Khartoum . Now in a binding (we pray) referendum, independence is approved. Simon Deng spent many years as a Muslim slave in Sudan. 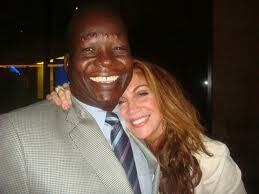 Mr. Deng has committed his life to freedom in Sudan and beyond. Until recently, he was here in the States effectively warning of the consistent total inhumanity of Islam. I learned about him through Pamela Geller at Atlas Shrugs. Read about this inspiring new beginning at Atlas HERE. This entry was posted in Jinad/Shariah, Liberty. Bookmark the permalink.